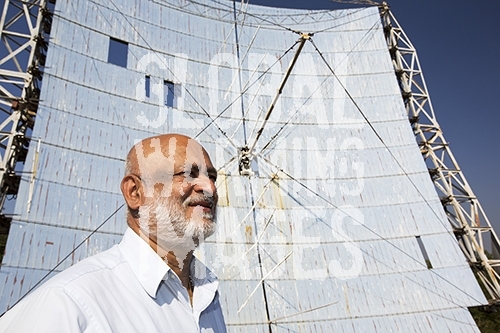 Deepak Gadhia by the world's first solar crematorium. It can burn a body completely in two hours, and can deal with four bodies a day. It has been designed to be strictly in accordance with the Hindu faith. The use of solar eliminates the need to cut down forest for wood to build a funeral pyre. Muni Seva Ashram. Deepak Gadhia was a successful Indian business man, but following the death of his wife, decided to dedicate the rest of his life to promoting renewable energy and helping the Muni Seva Ashram.